I have been searching for the perfect pair of overalls for a very long time now. It's hard to find one that fits my height especially haha. A few weeks ago I was wandering around Topanga Canyon and happened to find the last pair of these overalls in Forever 21. I was so happy! Amazing fit and length, it was a great day. 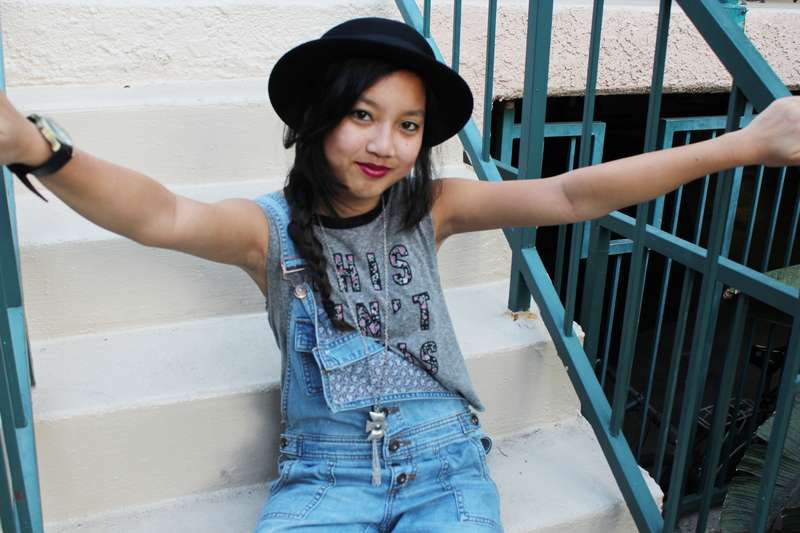 Overalls are a must have in your closet! Easy to wear but you can also style however you like. Along with looking for the perfect overalls, I have been searching for a black brim hat for ages. ASOS has many hats on their website, perfect for anyone who needs any kind of hats or who just has an obsession with hats like me. A day out and about in North Hollywood in this outfit with the warm spring weather just made my day and I just wanted to wear these overalls and this hat everyday.